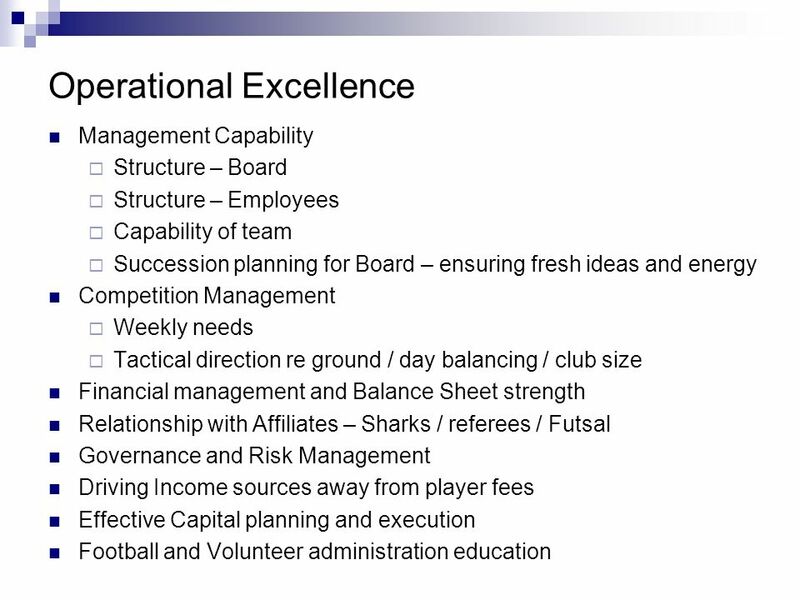 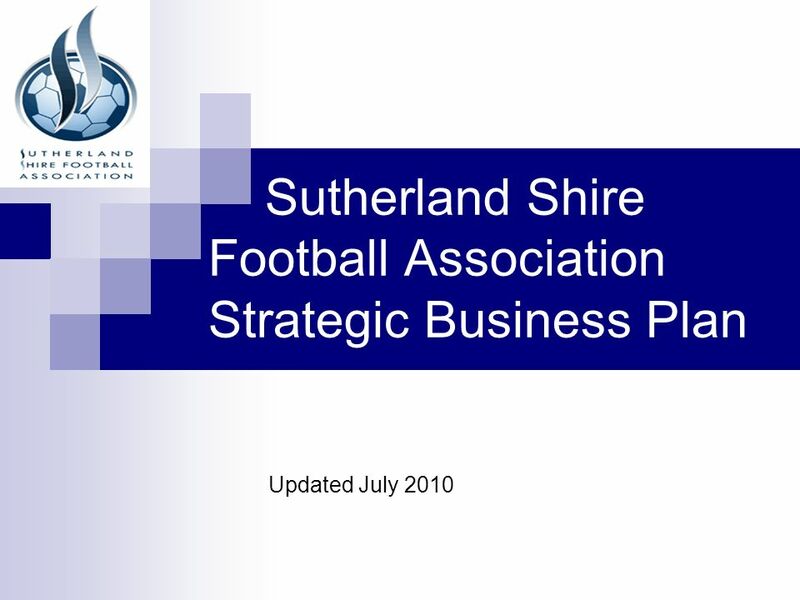 Sutherland Shire Football Association Strategic Business Plan Updated July 2010. 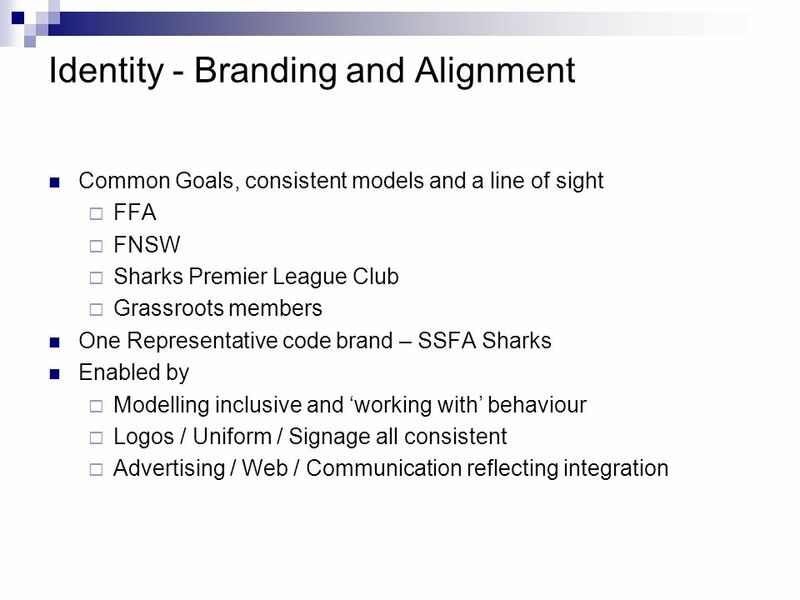 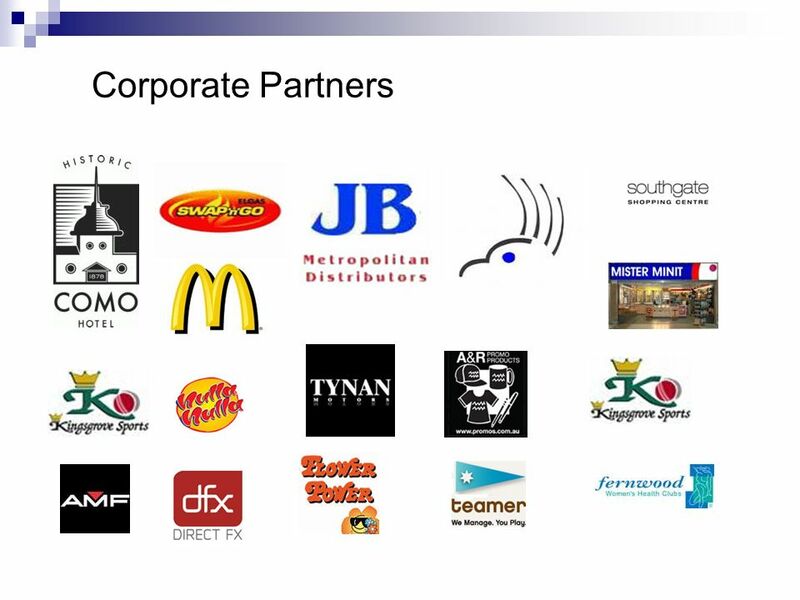 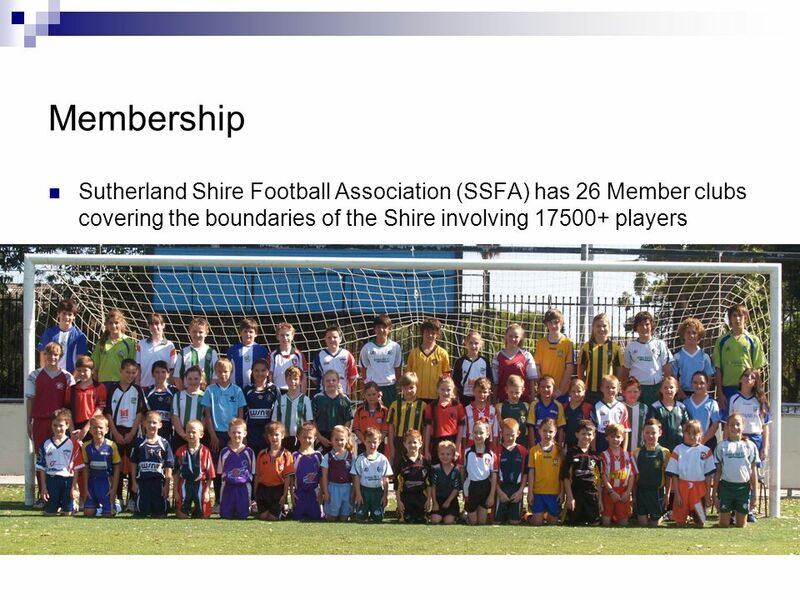 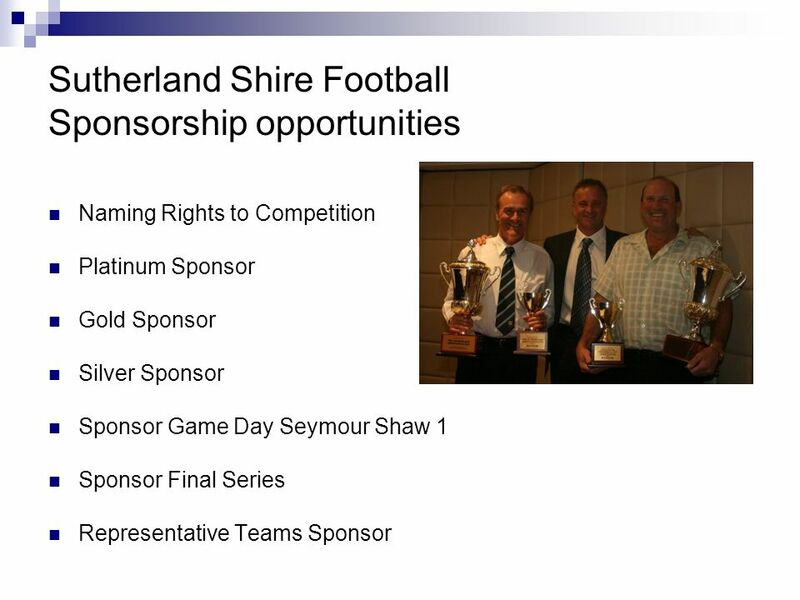 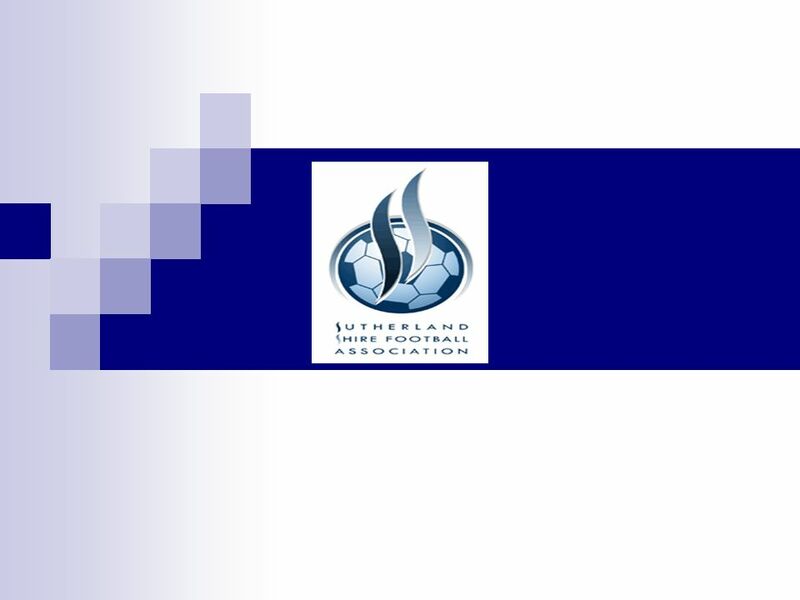 Download ppt "Sutherland Shire Football Association Strategic Business Plan Updated July 2010." 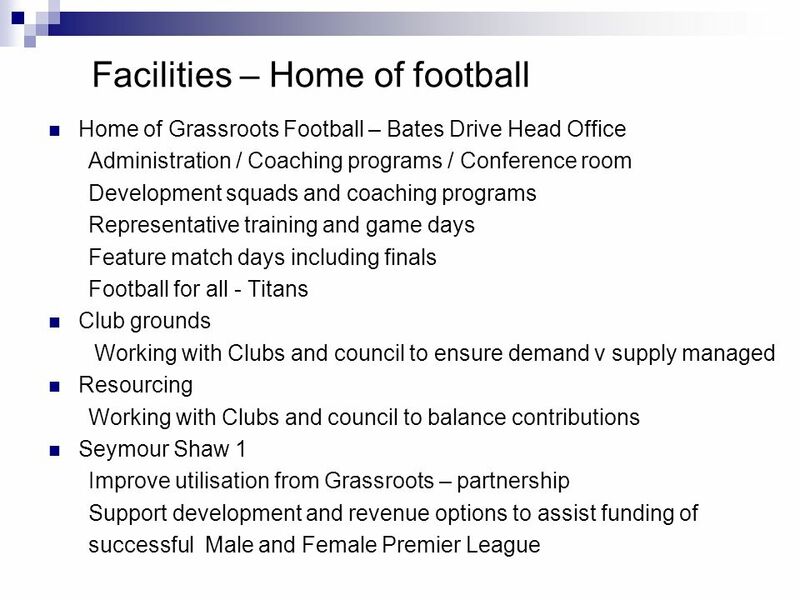 The Elite Sports Facility PUTTING SHEFFIELD BACK ON THE MAP. 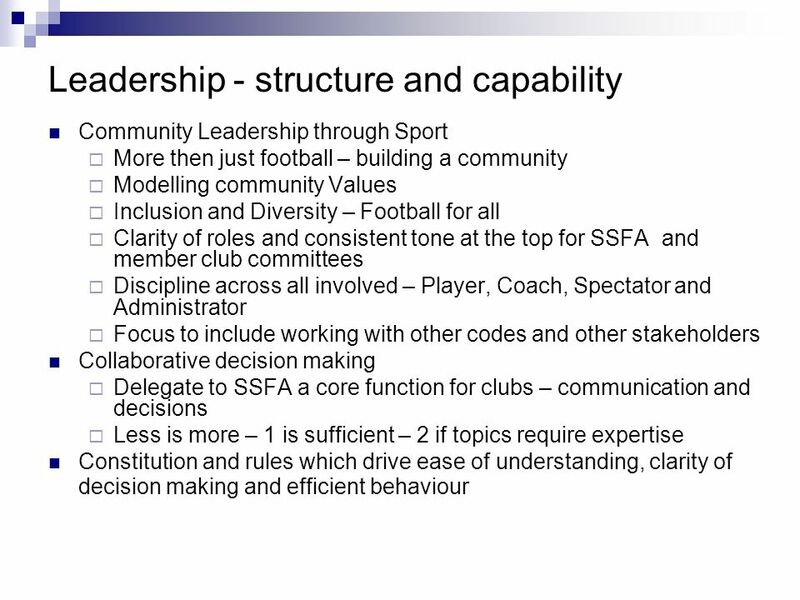 Governance Structure for Basketball Australia post 1 July 2009 Adopted by the Board: 26 May 2009. 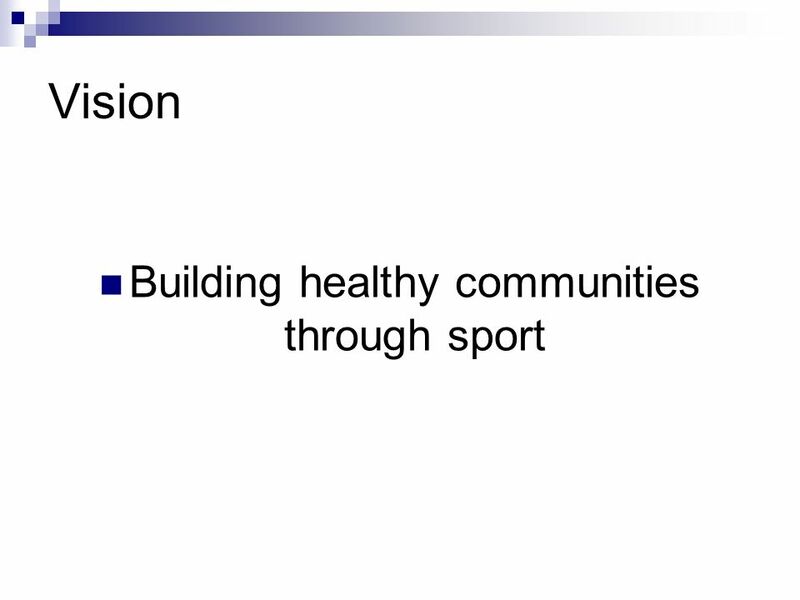 SWIMMING WAIKATO AGM Sunday 12 th August VISION Swimming For Life ParticipationPartnershipsPerformance. 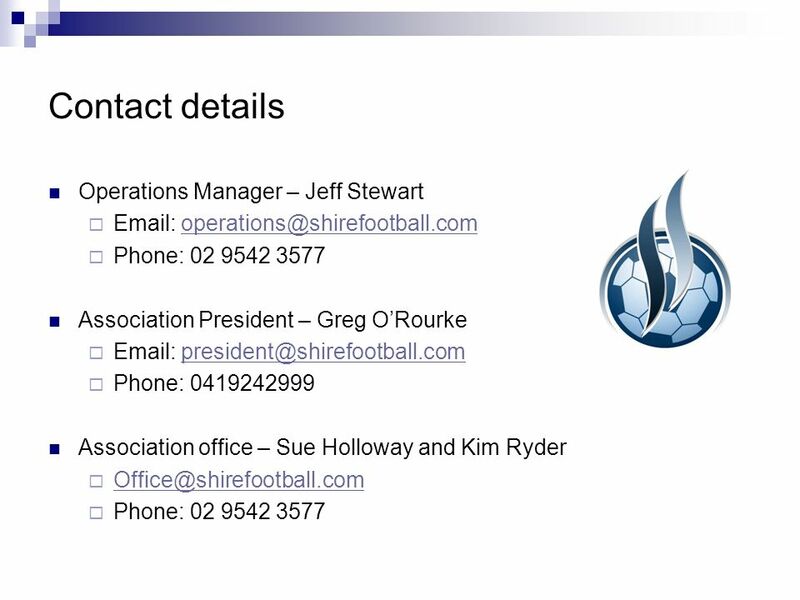 Inquiry into Liveability Options in Outer Suburban Melbourne Presented by Basketball Victoria: Dan Kirtley – President, Basketball Victoria Wayne Bird. 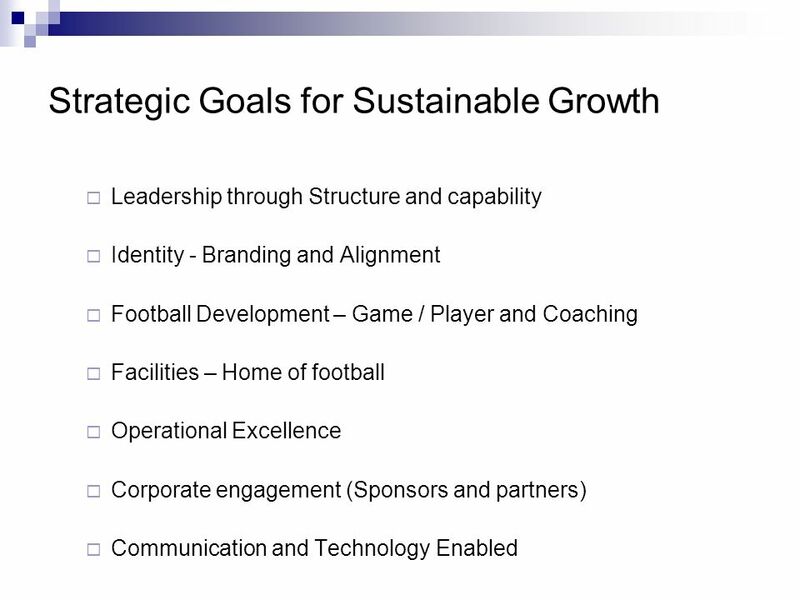 Football (soccer) is the fastest growing sport in the country. 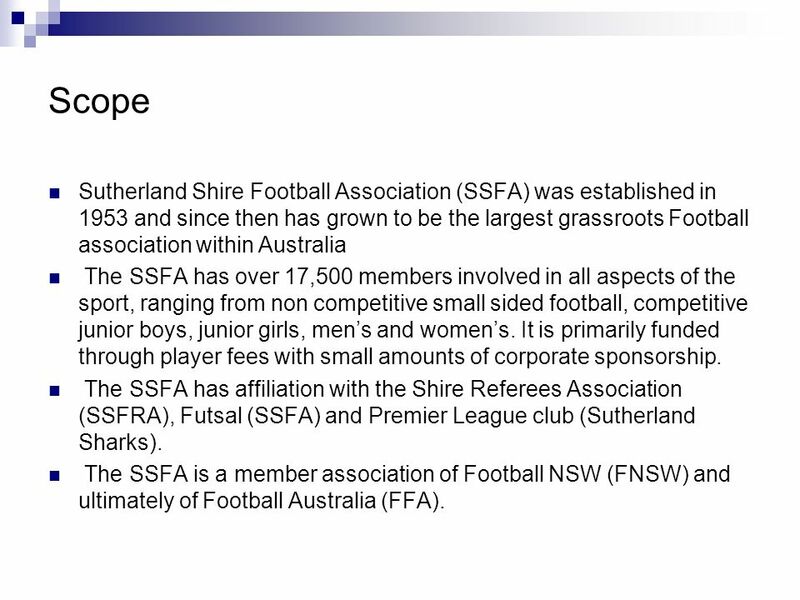 NSW averages an 6% annual growth. 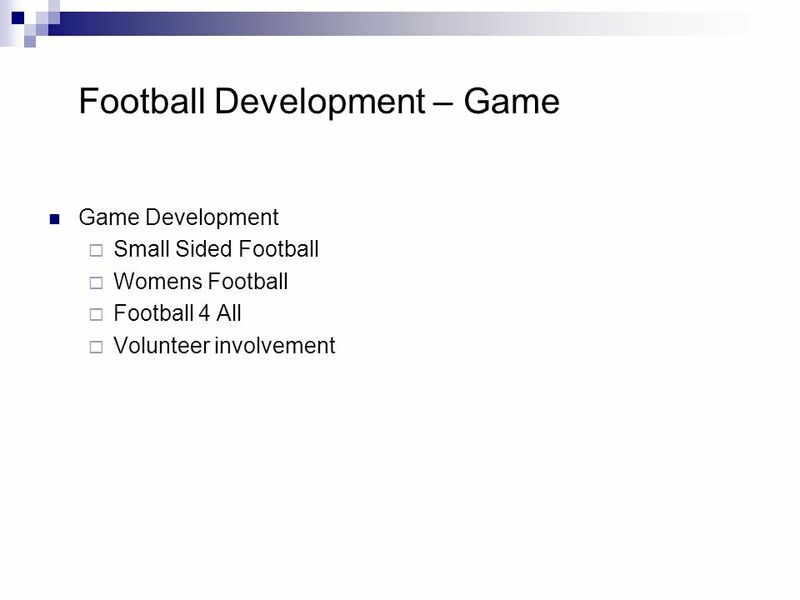 The BDSFA Inc has increased its player base by 11% in. 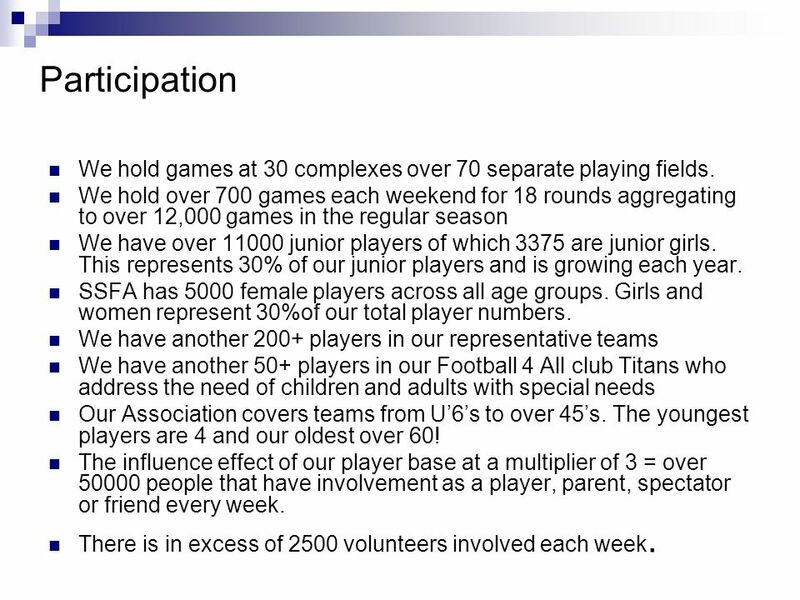 Where the Dream Begins… The Goals of Little League To help children develop citizenship, discipline, teamwork and physical well being through sports. 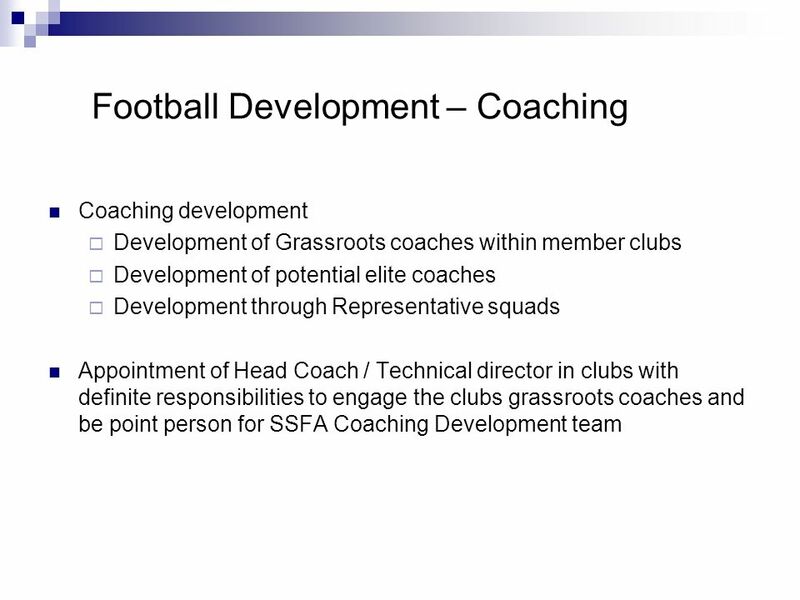 ST. BERNARDS DEVELOPMENT PATHWAYS PROGRAM 2011/12 Development Co-ordinator – Craig Connelly. 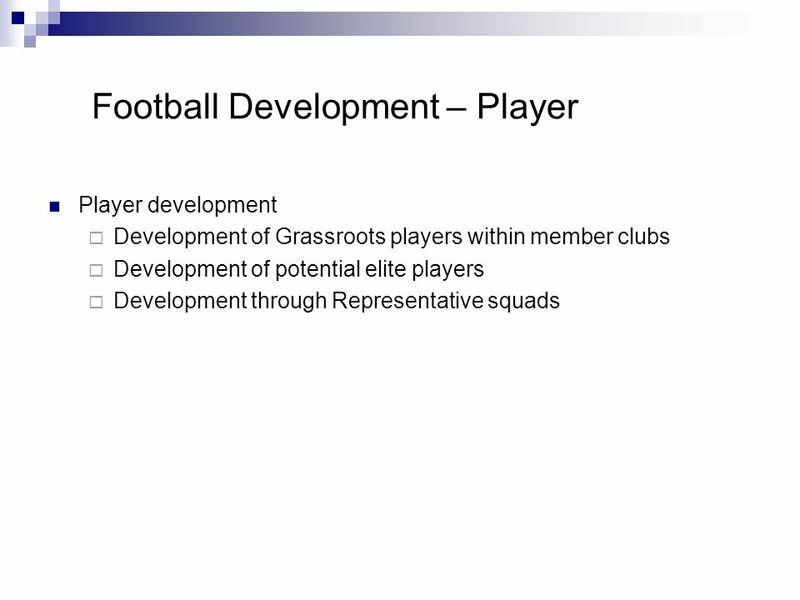 Pre-season Information Meeting & FIFA U-20 World Cup Presentation Feb 16 th 2015. 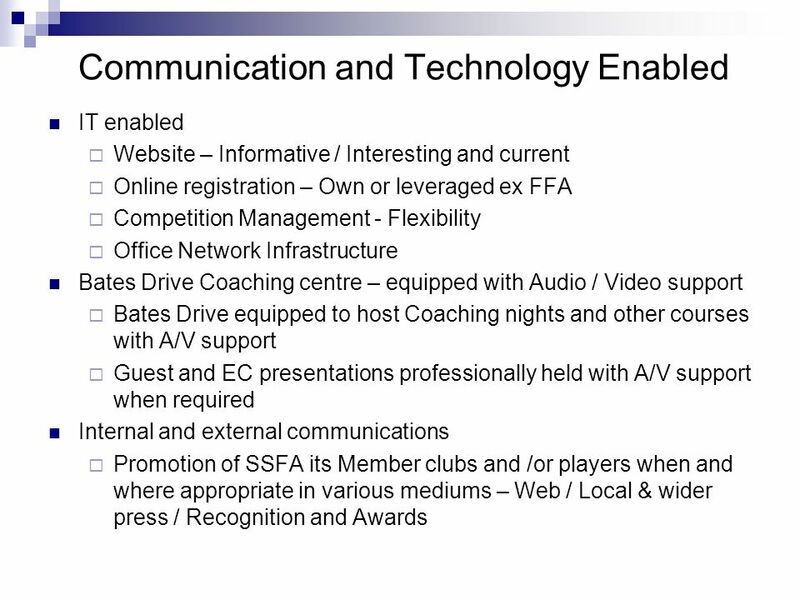 1 Roger Moreland Partnership Manager, England Golf Partnership. 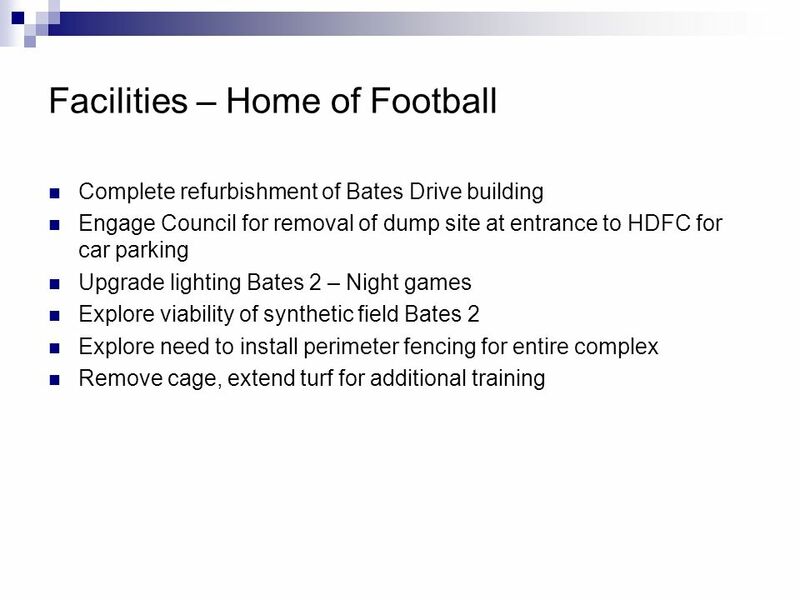 Welcome to Balsall & Berkswell Football Club The Hornets AGM 12 July 2011 July 2012 Page 1.